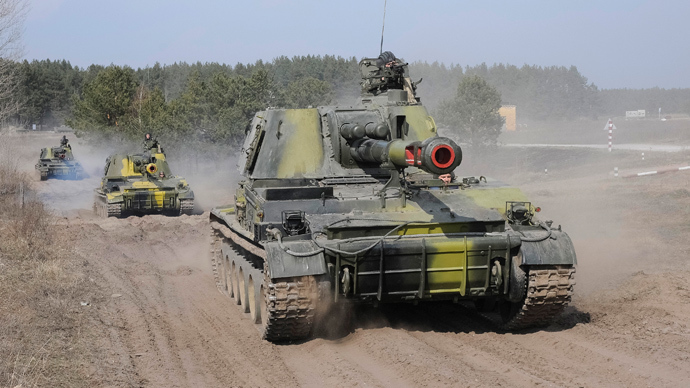 Ukrainian heavy military equipment, including armored personnel carriers and infantry fighting vehicles are heading towards the Russian border, while the eastern regions of Donetsk and Lugansk are protesting the entry of Ukrainian military hardware. 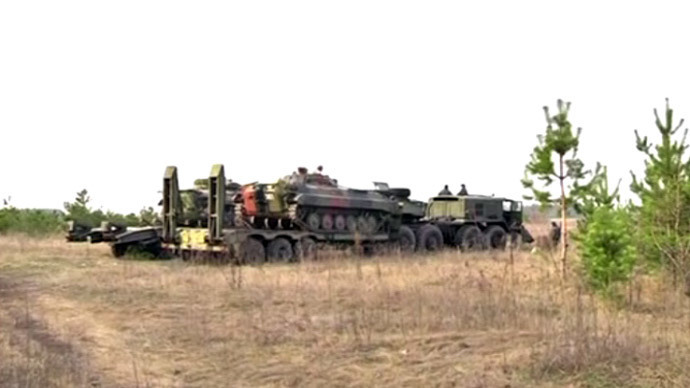 Residents have uploaded various videos of the heavy military equipment moving through the eastern Ukrainian regions. 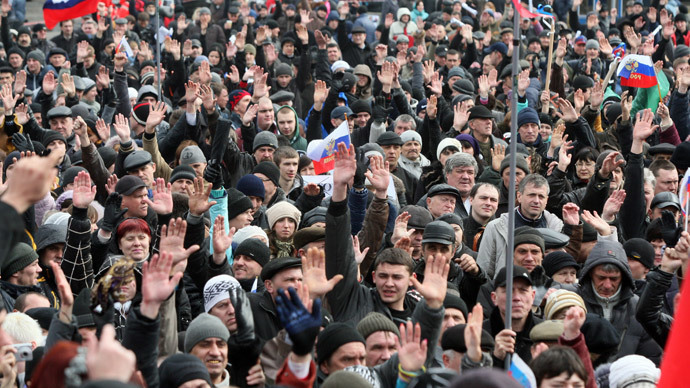 The process triggered protests which erupted in the cities of Kharkov, Donetsk and Lugansk. 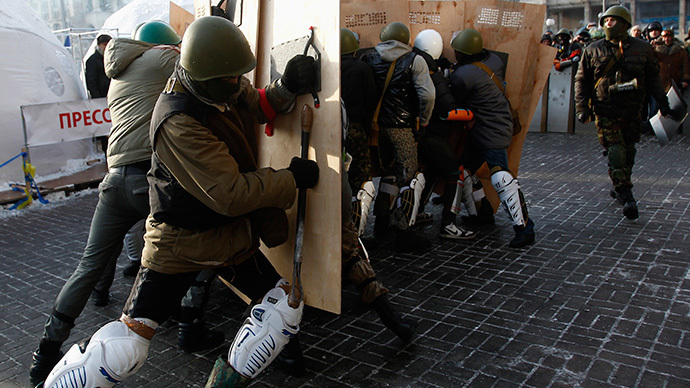 On Thursday local activists of Lugansk and Donetsk regions blocked the columns carrying the military equipment. Near Donetsk, the Donbas people's militia forced the Ukrainian troops to turn around, while in Lugansk the activists stopped the columns, setting up a 24-hour patrol guarding the military equipment and preventing its further movement. In addition the tensions in the east are escalated by the partial closure of the border, which was admitted by Ukraine’s Minister of Internal Affairs. 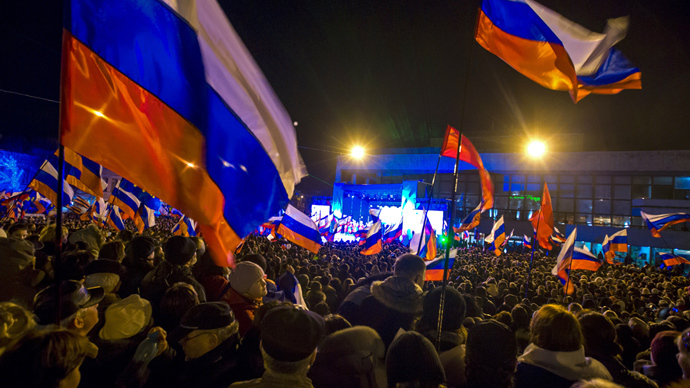 "To date, the border with the Russian Federation is practically blocked. 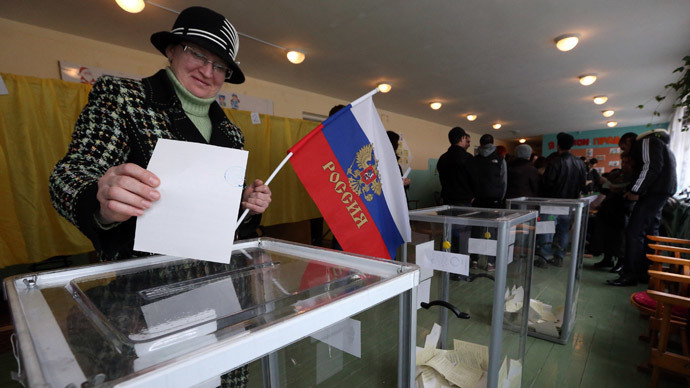 This raises tensions in Kharkov and Lugansk in particular. This is because the Border and National Guard are blocking passage from Russia [to Ukraine] of civilians with questionable intentions,” said Arsen Avakov. There have been concerns that the recently formed National Guard, the custodian of the coup-imposed government, may be used to suppress the rising discontent of eastern Ukrainians with the coup-appointed authorities in Kiev. The Guard which is comprised of former and current Ukrainian troops and volunteers from Maidan self-defense squads. According to Avakov, from 10 to 15 thousand people are to be mobilized to the Guard till the end of March. “We suppose that the mobilization will involve all of the Ukrainian territory in figures of 10 to 15 thousand and will be carried out in the next 15 days,” he said on Sunday at a government session. When it is fully formed the Guard will be comprised of 60,000 men and women appointed by the Verhovnaya Rada upon the recommendation of the acting president Turchinov. Meanwhile, most of the US financial assistance to Ukraine will focus on the formation and maintenance of the new military, said a source from the Ukrainian Ministry of Defense as cited by Itar-Tass. “Kiev is not planning to fund the army or navy which are in a deplorable state,” the source said. "The high status of the National Guard, along with the rights for oversight of military commanders significantly reduces the prestige of the army and navy, giving them a minor role. Thus, the Ukrainian government leaves the issue of strong national defense of the state, making a bet on the suppression of domestic political nonconformity."